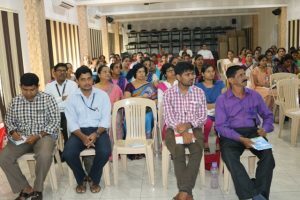 The workshop on the topic “How to be an Effective Teacher using soft skills” was conducted on 29th May 2017 for the teaching staff of LCS, by Ms. Ida Patrao. 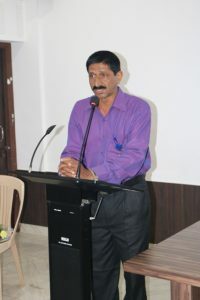 The main focus of the workshop was the effective techniques of using soft skills. 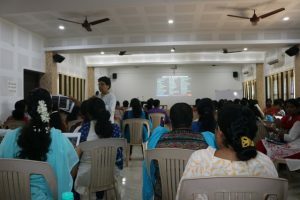 Teachers were given strategies and techniques through group activities, worksheets, visual aids, paper creativity work for better concept development. 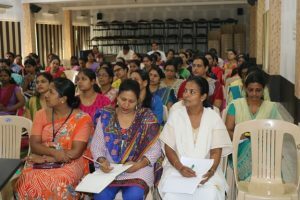 The workshop helped in providing the potential to build knowledge and improve communication skills, its effectiveness in the classroom by giving teachers a framework to understand and to induce learning since seeing is believing and doing is retaining. 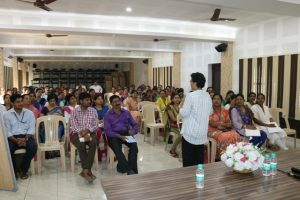 The Resource Person with the help of visual aids explained the meaning of soft skills as – the personal abilities that improves human performance to interact with people. 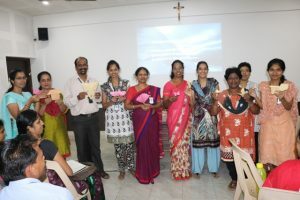 How such soft skills can be utilised in a classroom situation? For e.g. Speaking turn wise, listening to others by patience, greeting, conversing, to respect others independency, to give respect others work and thoughts and create a fearless environment in class. 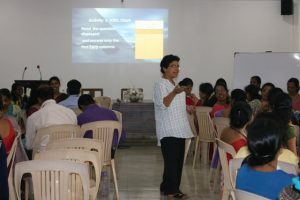 She gave inputs on making their classes interesting, to modulate voice to attract the attention of students. She further said that teachers need to be good leaders and command respect. It is required that teachers be a little serious and stern than being frivolous. Positive talking to students for discipline in class also helps. Refrain from insulting before other students, standing outside the class, and negative conversation. To converse just one to one is far better. Parental support is another key factor that is effective in classroom management. Another tool that can produce a desired result is to improve on student’s comprehension. Permit students to be approachable, communicate and interact with teachers. Calling them by their names can do wonders. Teachers must provide students with instruction, guidance and feedback. Most importantly teachers should be fluent in their language skills while teaching. 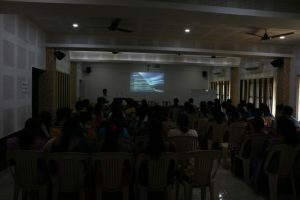 A few tips were given on stress management, to be self motivated and to take corrections positively. 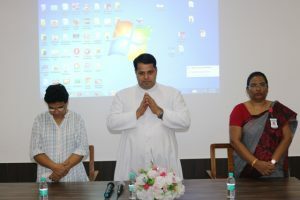 Overall the workshop was motivational, inspiring, communicative and effective. It was an amazing and wonderful experience for all the teachers. 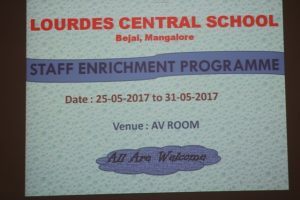 It helped the teachers to introspect & bring about the required changes and create a more vibrant classroom.